In the summer of '67 there were certainly plenty of questions heading into the King's first training camp. This was different than the team of "assets" Dean Lombardi and staff have been assembling here in Los Angeles the past few years. This was a team of "miscellaneous parts." As an expansion team, Jack Kent Cooke's upstart group was a hodgepodge of pieces acquired from the original six teams; plus some free agents, misfits, leftovers, cast offs and other assorted guys on skates. Without a proper training facility in SoCal back then, camp was held in Canada. And after weeks of drills, scrimmages and just a general getting to know you atmosphere it was time for the Kings to wear their now famed purple and gold jerseys for their very first pre-season game on September 18, 1967. The Kings never led in the game and eventually lost 7-3. However, a name that was soon to become extremely popular with the initial group of fans showed up twice on the score sheets that night. 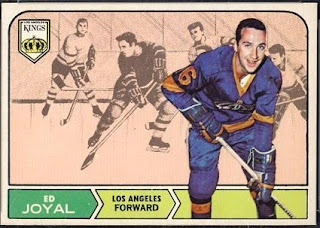 Netting two assists in the game was one of the King's first real superstars - Eddie Joyal. Joyal, the guy who wore #16 before Marcel Dionne, went on to net 23 goals during the inaugural campaign and added 34 assists to lead the Kings in points. He followed that up during the Kings second season with 33 goals and 52 points, both team highs. Like today's game, where the biggest stars are usually the goalscorers, Joyal was one of the main guys LA fans would come to see. This prestigious honor will be earned by the Kings player tallying the most preseason points. Sure, preseason means little in the big picture. However, it certainly meant something to Eddie Joyal in September of '67. And it still means something to some Kings fans. As summer winds to a completion each year the diehards look forward to the start of training camp and all that comes with it. The first look at some draft picks, speculating on line combinations and debating where the team will finish the season - all topics of delight for hockey starved fans in LA. Equally important is the feeling of hope that hangs heavy in the air. Hope that the sum of the Kings parts will equate to having a chance to win most nights. Eddie Joyal was part of that hope in 1967-68. Of course, greatness in the preseason doesn't guarantee anything in the regular season. Yet, scoring goals in these meaningless games gives some fans hope that more will follow during the regular season. Before Eddie Joyal led the Kings in points during that first season, he had two helpers in the first preseason game. Here's hoping your favorite player puts up some points tonight to kick off this year's preseason. Who knows - if he gets on a role, your guy could even end up winning the inaugural Eddie Joyal Award in just a few weeks. VIDEO: What type of music do the Kings players listen to? We've moved - come see the ALL NEW website! The Mayor of the Los Angeles Kings - providing news, views and interviews with the players and people that shape the game of hockey. We want you to interact - twitter, facebook and/or comment on articles. This Los Angeles Kings hockey blog provides inside information, interviews and trade rumors on LA hockey. 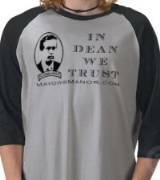 This is an independent production of MayorsManor and is not affiliated with the LA Kings or the National Hockey League.